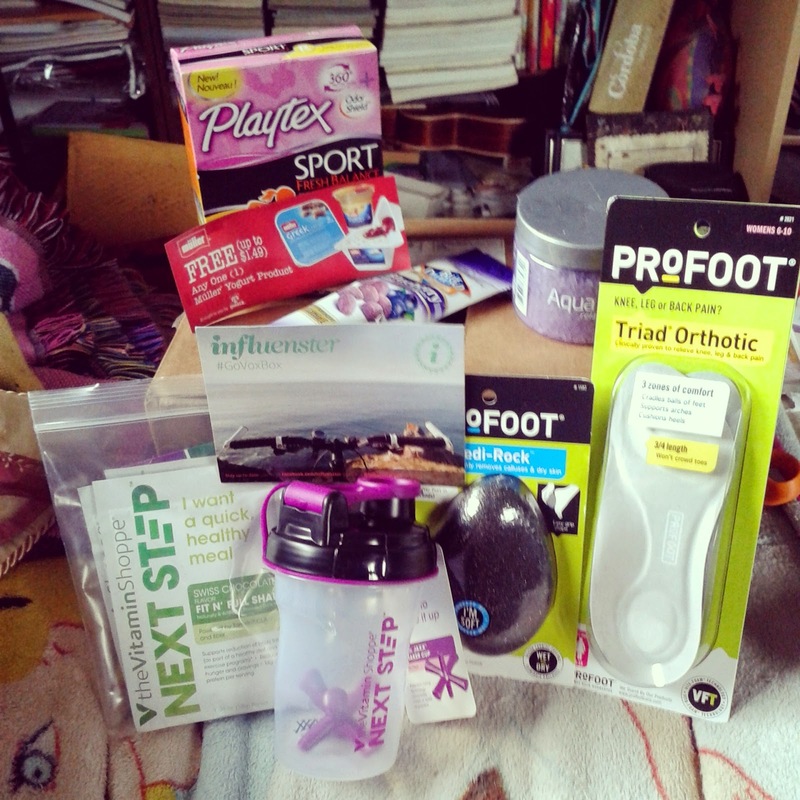 The #govoxbox from Influenster is definitely my favorite voxbox to date! I'm just gonna say that right off the bat. It arrived packed full of goodies and samples of things that I really want to keep in my life forever. The things I didn't much care for: The tampons--they are "scented" and supposed to keep your "fresh" and "nice" down there BUT I don't really care for products that bring perfumes to the lady-parts. Sorry Playtex! 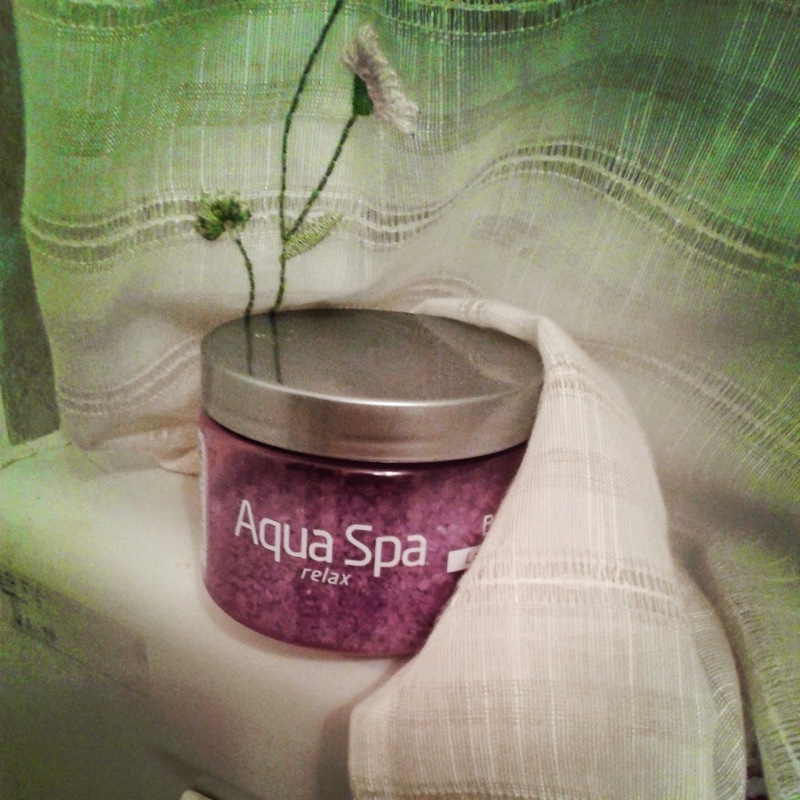 The aqua Spa bath salts do have a luxurious feel and look, and are quite attractive to put on display in your bathroom. And who doesn't love having an excuse to just put the candles on and SOAK in that tub? The Profoot Orthodics and the PediRock are amazing! The orthodics fit into my sneakers and took a lot of stress off my body. I will keep looking for those. The Pedi Rock is my new best friend! After using it once my feet were already glowing and smooth and free of pesky rough spots. It's soft and squishy but rough on the surface so it presses against every curve of your foot and gets all the dry stuff off. It's washable and easy to use and store. The Muller Yogurt voucher. YUMMY! Who doesn't love yogurt? Great stuff. The Blue Diamond blue almonds. Okay... these almonds are more purple than blue and at first I was freaked out looking at them. I thought they would be drenched in food dye and I HATE food dye. They were colored with beet juice, though, so no worries about food dye headaches. Yay! They were tasty and attractive and sweet and almondy and basically a snack of awesome and win. I can see these as being a perfect snack for someone who finds a eating a handful of nuts and almonds boring despite it being good for them. It would also be a perfect snack for kids who are finicky. They're slightly sweet and fragrant so they make for a very attractive snack. Then we come to the Vitamin Shoppe's Fit N Full shake samples. This was indeed a mixed bag ranging from "meh" to "awesome!" The Vitamin Shoppe sampler included three different flavor packs, the shaker cup, and a five dollar off certificate for a future purchase. The shaker cup is super nifty! It has a big purple jax in it that mixes the powder and gets you a smooth, hassle free shake. BPA free as well so that's a plus. The first time I used it, the shake was rather lukewarm and still had chunks in it. I didn't shake it long and hard enough. The next time I used it, instead of just cold water (as directed on the packet) I threw in some ice cubes and gave it the shaking of a lifetime. That made the shake super cold and smooth. The texture of all three flavors was smooth but also thin. It did not have the consistency of a smoothie but I'm sure anyone could remedy that by using a blender and adding fruit, crushed ice, and rice/soy/dairy milk and honey. That would add to the caloric count however. Despite it being thin, the shake filled me up and I found I didn't need to add any extras in it to make it more feeling. 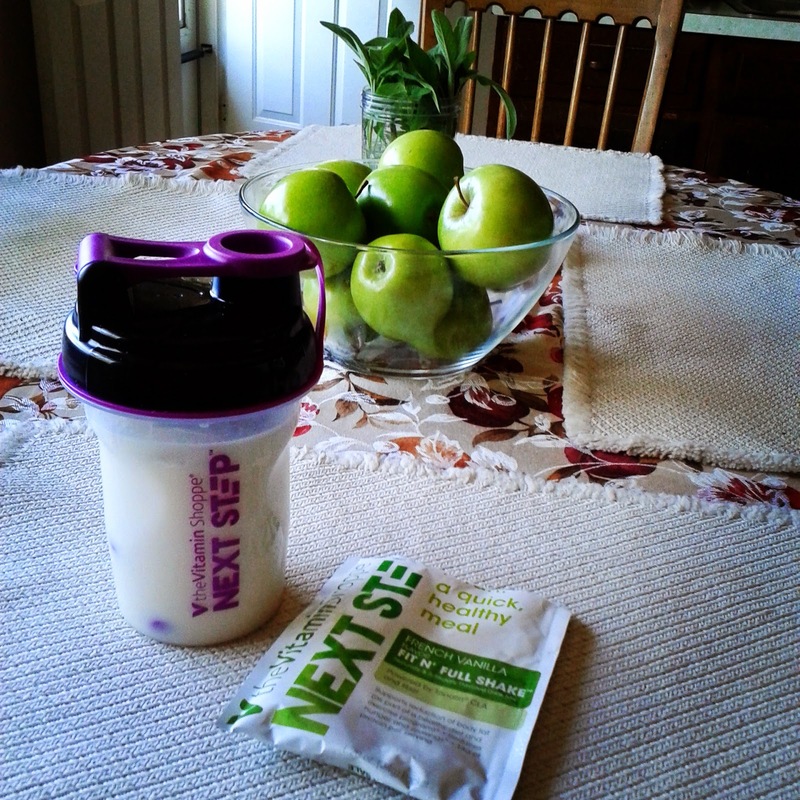 So as a snack or quick meal replacement it does its job nicely. The wild berry flavor looked attractive--turning pink when it hit the water, and the taste was initially ok, but the heavy stevia flavor of the shake left a heavy after taste and did not leave me wanting more. The vanilla shake was a bit better but again, the aftertaste remained. I can see trying the vanilla one again with a dollop of honey and cinnamon and a mashed banana. The swiss chocolate flavor was DELICIOUS! It mixed smoothly and even though I just used water and ice cubes, it didn't need a thing more. The chocolate taste overpowered the stevia taste and I felt satisfied and happy with it. I did see a burst of energy each time after drinking these shakes, so that was interesting, considering they're not sweetened with sugar but with stevia. I will use my five dollar off coupon to get more of the chocolate packs. They'll be great to have on hand for a quick snack or meal, especially when I'm being whiny about what I want to eat. Here is my video review of the wild berry shake. Well that's all for now! 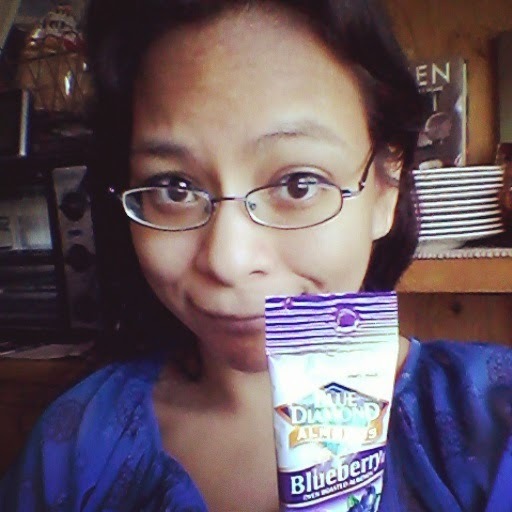 Thanks to Influenster.com for sending me the products FREE OF CHARGE for testing purposes. If any of you would like to join the influenster program, please feel free to ask! All I need is your email and I can get an invite sent to you.